We are getting so close to the time when we get to meet our daughter, no exact date yet, but it will be soon, hopefully before Thanksgiving. We are getting all prepared, as much as you can prepare yourself for such a life change. We have our immunizations for traveling to Hong Kong, we have our passports and we met with Elizabeth’s school the other day to formulate a plan for her coming to school. Having a child with an IEP is difficult, but having to try to asses the needs of a child for the purpose of an IEP while that child is still half way around the world is really hard. Of course we can’t make any definitive plans about what she will need at school until we meet her, but fortunately we do have some great info provided to us by her current school that has helped us form an interim plan for her first few weeks of school. Change is quickly coming to our household. We have some idea what to expect from our daughter when we bring her home, but we really won’t know what it will be like until she actually joins our family. You can read all the books and testimonies of people who have had a similar child with similar needs and age, but that child is not our daughter and she will bring her own uniqueness to our situation and it will be unlike anyone else’s. She might struggle for a while to deal with her new life and act out in various ways or she might just roll with it and fit in like she has always been here. We don’t know. We are doing so many things to prepare, but nothing can really prepare you. We have to trust that God has and is preparing us for this change in our family. We are both excited and nervous at the same time. We have some idea what to expect with Elizabeth, we know the needs she has and we have some idea how to meet those needs and what to do. It is very unlike our experience with Joshua, our other son with special needs. When we met him at 8 days old we had no idea what to expect and how to deal with his needs. We didn’t even know what needs he would have, that didn’t become clear until much later and still isn’t completely clear. In some ways, I feel much more prepared for Elizabeth’s adoption. I have accepted her as she is and we love her. We didn’t get the chance to hear about Joshua for a whole year before we met him, it was 10 hours instead. Not much bonding can happen in 10 hours. We are blessed in that respect to have had so much time getting to know her before actually meeting her. 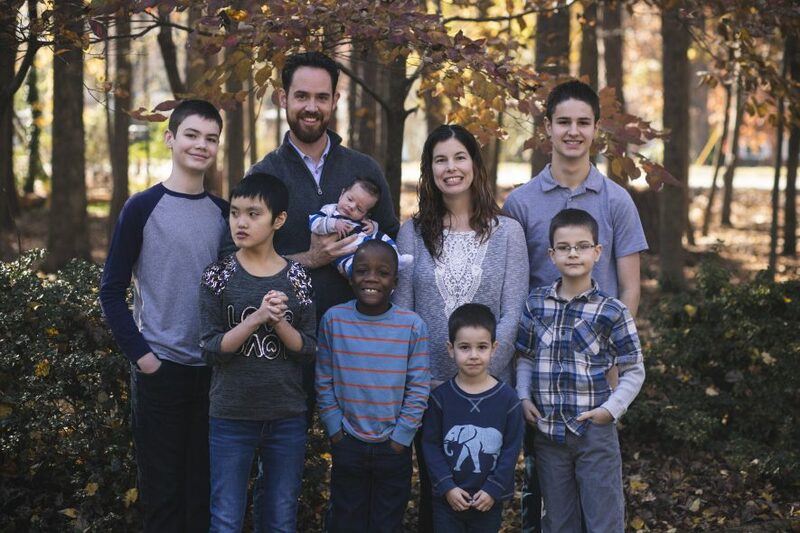 Sometimes I wonder what our life will look like in a few months with five kids, two of whom have special needs. It will be interesting I am sure. But I am so glad to be interesting. I am glad we stand out in a crowd. I am glad my “normal” children are learning the value of different types of people and will be quick to reach out to “different”. They see race all the same and also disability. What a blessing to learn tolerance and how to accept others at such a young age. I think their lives will only be richer for the experience. We could have so many things in life. If we didn’t have five kids and hadn’t spent $40,000 on adoptions in the past three years we could have so many new beautiful things in our home. We could have nice new cars and all that stuff. But what would it matter? I can’t take any of that with me after this life, but I can take my kids. I can leave a legacy of my children who know how to treat others and what really matters in life is people of all kinds and colors. That is worth so much more than the money we have spent on adoptions and raising our kids. It is so worth it. Amen to that…rich in love (where it really counts)!